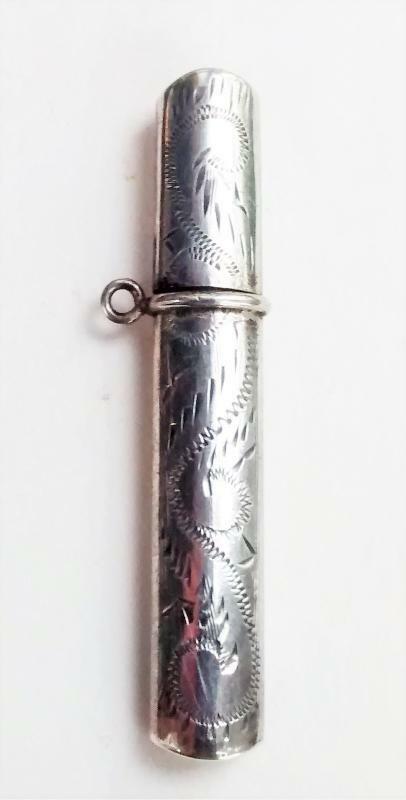 Sterling silver needle case for a Victorian lady's chatelaine. Engraved floral design on the 2"+ case with side loop for hanging. Two-piece body and lid, marked on inside. Nice condition with no major issues. Inglenook Antiques....Established 1989.